Plantronics HW720-POLY Polycom IP Phone Compatible Headset. HW720-POLY is a Binaural (double-ear) headset that also the top-of-the-line model that offers comfort with superior audio quality. The Plantronics HW720-POLY headset delivers style and performance to office and call center workers to your Polycom IP Phones. Premium lightweight materials and leatherette ear pads provide all-day comfort. A precision-fit, noise-canceling microphone and wideband response ensure crystal-clear customer communications. 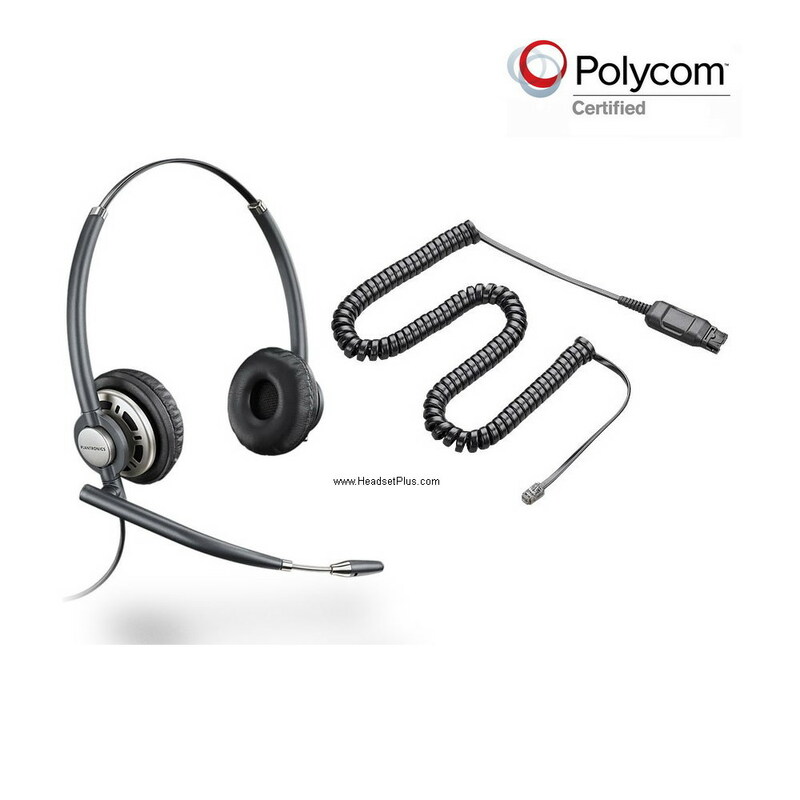 Includes a Polycom certified RJ-9 10ft adapter cable - connects directly to the "headset" jack of your Polycom phone. No additional cable or adapter needed. Quick Disconnect™ feature ensures mobility within the work environment.